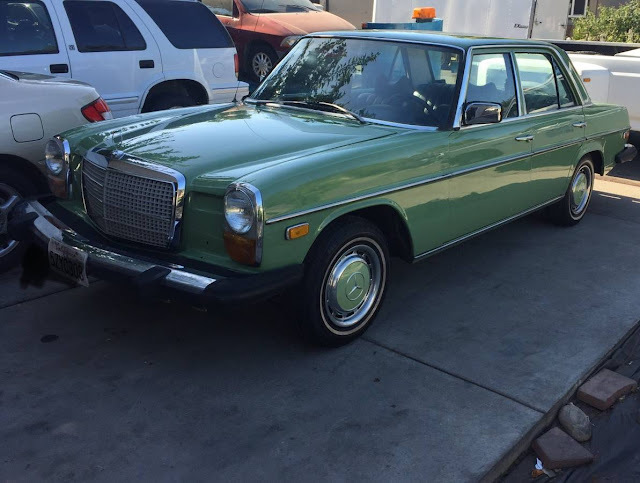 It doesn't take much to be faster on the road than a Mercedes-Benz 240D with a slushbox automatic transmission...but an easy upgrade from danger zone slow to moderately livable matching your 62 horsepower oil furnace with a 4-speed manual box. I've driven both versions for many miles and can say that the 4-speed manual feels as fast as the 300D with the slushbox...and that isn't as bad as it sounds. 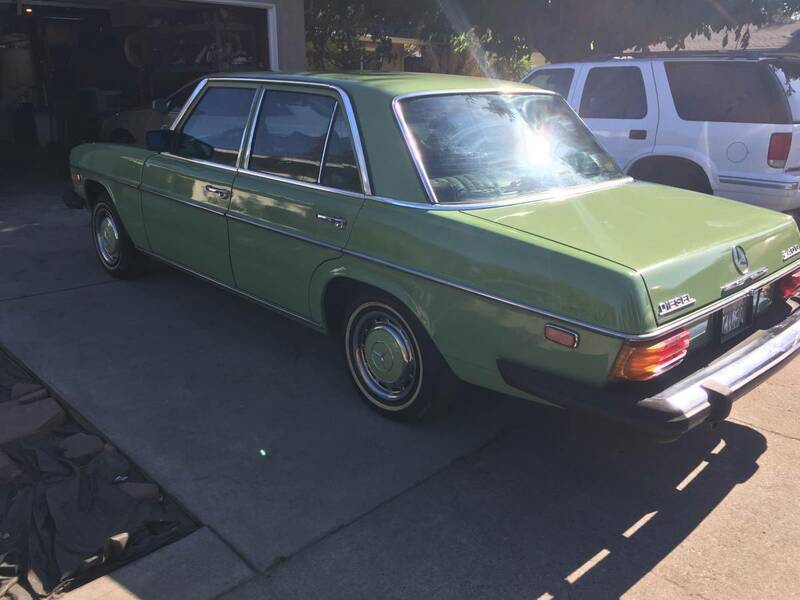 Find this 1974 Mercedes Benz 240D offered for $5000 in Modesto, CA via craigslist. Tip from FuelTruck. I wish that Mercedes made an equivalent car now, what does Mercedes sell as a taxi today? 86,000 stares from the ladies too.